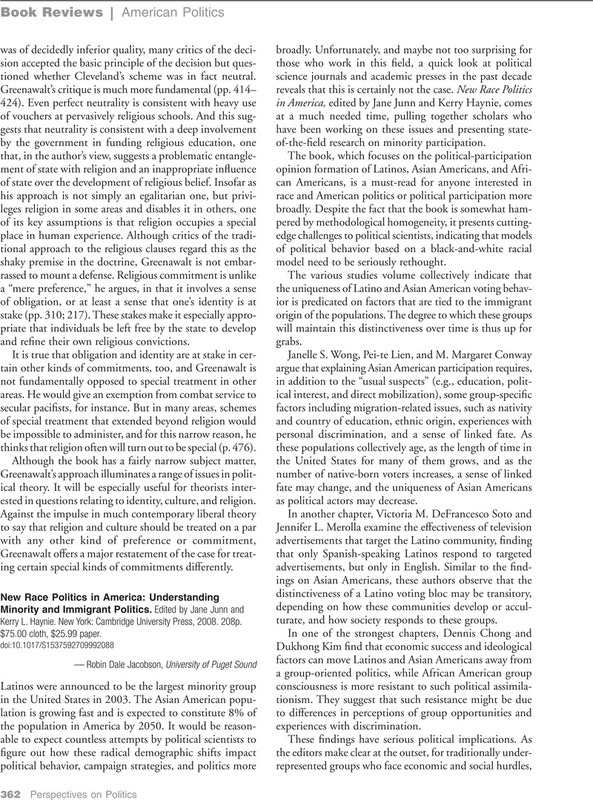 New Race Politics in America: Understanding Minority and Immigrant Politics. Edited by Jane Junn and Kerry L. Haynie. New York: Cambridge University Press, 2008. 208p. $75.00 cloth, $25.99 paper.